Soraa, the world leader in GaN on GaN™ LED technology, today announced that eight of their most popular MR16 products have been recognized with the ENERGY STAR qualification from the U.S. Environmental Protection Agency (EPA), the first full-visible-spectrum LEDs to attain this qualification. The ENERGY STAR label certifies that Soraa’s MR16 products have met the stringent energy efficiency standards and performance criteria established by the EPA. Soraa products already qualify for a wide range of rebate programs based on their superior color rendering and energy efficiency. With the ENERGY STAR label, Soraa’s LED lamps now qualify for additional utility rebate programs nationwide. All Soraa LED lamps feature violet emission with 3-phosphors that enable benefits such as VP3 (Violet 3-Phosphor) Natural White and VP3 Vivid Color which reveal the magic of whiteness and colors in every environment, and Point Source Optics for beautiful, uniform beams of high intensity. 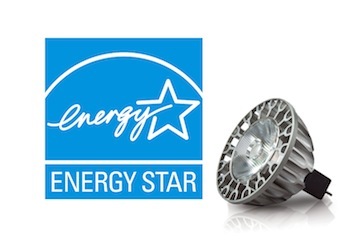 Now, Soraa’s Simply PerfectTM Light comes with the ENERGY STAR stamp of approval. For more information about ENERGY STAR: www.energystar.gov, and to learn more about Soraa’s LED lamp portfolio, please visit www.soraa.com.